I am reproducing details of the Festival. Thanks to Andy at Moniton Pictures for this. 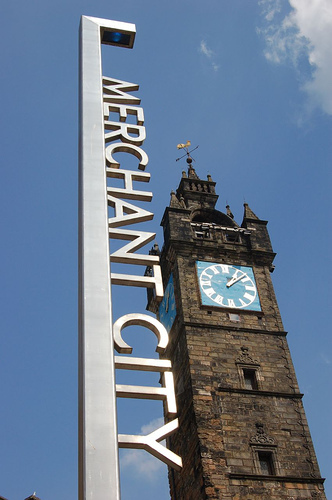 The launch of the Merchant City International Indie Film Festival will be launching in GMAC, Trongate 103 – on 27-29th July. We’ll be screening 9 international short films, and 6 indie feature films from around the globe. The festival is being organised and hosted by Andy Cassels and Dale Corlett in partnership with GMAC and Moniton Pictures. Ticket prices and contact info at end of this attachment. The opening short film of the festival will be Leon Chambers ‘Stolen Youth’. It’s a fantastic short film – about 15 minutes, shot on 35mm and I would definitely recommend that people come along to see this film. Very well shot, and a fantastic storyline that really draws you in. After the short, we’ll be screening Charles-Henri Belleville’s indie feature ‘The Inheritance’. This was an indie feature which was shot for only £5000, mainly set in Edinburgh. It’s a Scottish road movie which follows two bickering brothers as they travel from Edinburgh to Skye in search of their inheritance left by their recently deceased father. The film gained fantastic reviews and acclaim a few years ago when it was first released and has won several awards at festivals around the world. A perfect example of how to make a good feature film on an amazingly small budget. The film’s Producer (and one of the lead actors) Tim Barrow will be present to do a Q&A with the host and take some questions from the audience afterwards. For any local filmmakers interested in making that first feature film on a small budget like The Inheritance, it would definitely be worth coming along and seeing the film then getting to chat with Tim afterwards. The Saturday afternoon screening begins with Stuart Elliott’s ‘The Pedestrian’. A local short film starring Jonathan Rush, it won The Big Flick at Cafe Flicker in 2011. We’re also screening Leon Chambers short film ‘Office Romance 2.0’ which is a very funny short written by Edinburgh-based Keith Storrier. I seen this film a couple of months ago and love it – definitely recommend coming along to see both these hilarious shorts. Following on from these shorts, we have the first international film of the festival, the Australian indie feature ‘The Castle’. Made a good few years ago on a tiny budget (around $25,000) it features a very young Eric Bana. Loads of excellent, funny dialogue and very ‘Australian’ humour. Definitely something different to the other films showing. Saturday evening is comedy again, with two mockumentary shorts. ‘Toothless’ by Steven Dorrington follows the toothfairy as she falls on hard times. ‘Don’t Call Me Sparky’ is a comedy directed by Ray Tallan. Graham Duff (aka Sparky) is a superhero, but his family aren’t too impressed by his superpower. Following on the superhero theme – the Saturday evening indie feature is the Scottish film ‘Electric Man’. Set in Edinburgh, it tells the story of a couple of guys who run a small comic book store. When they discover a rare (and very valuable) comic called ‘Electric Man’ an international clamour for ownership starts to take place. Very funny film and very well made. The Director, David Barras will be at the screening and David will have a Q&A with the host (Dale Corlett. Midday screening on Sunday begins with the French short film ‘La Carte’ by Stefan Le Lay. A romantic tale of a man in a postcard who falls in love with a woman in another postcard. We shall also be screening Uisdean Murray’s award-winning Gaelic short film ‘Suibhlachan’. The Sci-Fi American feature film ‘Sol’ by Ben Carland is screening on Sunday midday. This film was made by a collective of filmmakers on a limited budget but very good special effects. Sunday afternoon screenings begins with Your Number’s Up. Made through the Write, Camera, Action! screenwriting competition, Colin Ross Smith’s short film tells the tale of a drug deal which goes wrong and a comical tale of mistaken identity. We’ll also screen one of the graduation films from the Royal Conservatoire of Scotland from 2011. The Taxidermist by Charlotte Carden is again a comedy about a family business of taxidermists in a remote location. Two local short films. Comedy indie ‘One Day Removals’ by Mark Stirton, set in Aberdeen is a very funny farcical tale about a day following the disasterous story of two removal men as their day goes from bad to worse. Following the screening we’ll be having a chat with the Director Mark Stirton and having a Q&A with the audience. To finish off the festival we’ll be screening the BAFTA winning feature film ‘Crying With Laughter’ and afterwards the host (Dale Corlett) will have a chat with the Producer (Claire Mundell) and Director (Justin Molotnikov) about the film and how it came about etc. They will also take questions from the audience. Following this final screening, we will also be announcing a new indie feature film initiative being launched by GMAC and Moniton Pictures so it’s important for any indie filmmakers out there to not miss this opportunity. Prices for tickets for the screenings will be £3 per screening. However GMAC members get in free providing that bring along their GMAC pass. It’s advisable to get tickets in advance (even GMAC members) as there is only a capacity of 48 in the cinema. Alternatively you can buy a full festival pass for £15 which will give you access to all screenings throughout the weekend. Tickets are available from GMAC now – and I’ll have tickets along at Write, Camera, Action! if people want to buy them next Monday night. « University Of The West Of Scotland – Open For Business.